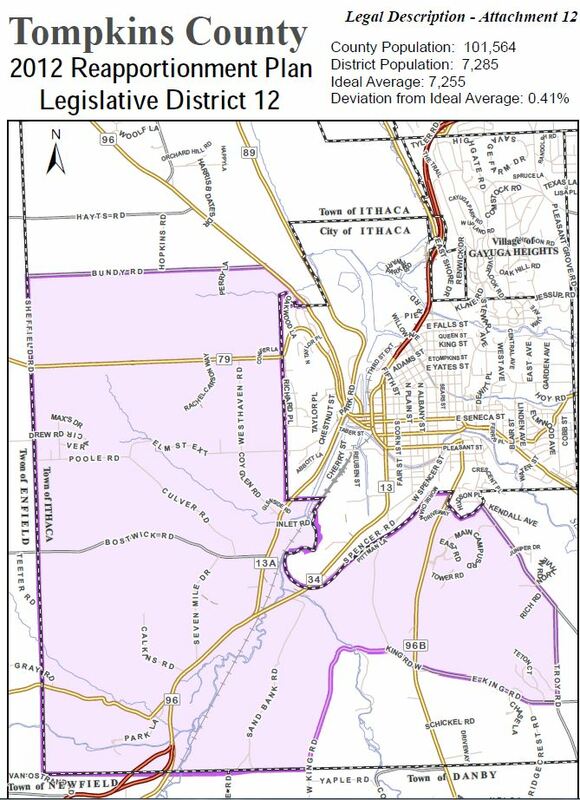 ​District 12 spreads across West Hill, Inlet Valley, and the Ithaca College region of South Hill. The diversity within--we represent a range of generations, economic status', political affiliations, backgrounds, and ethnicities--is just as far reaching. The 14 Tompkins County Legislative Districts. 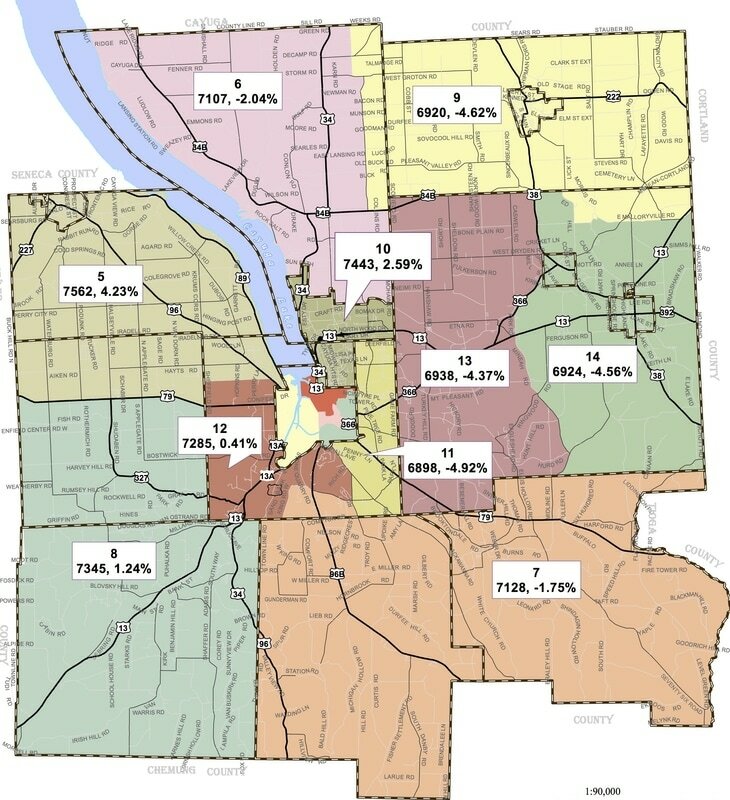 Find individual maps of each district HERE.